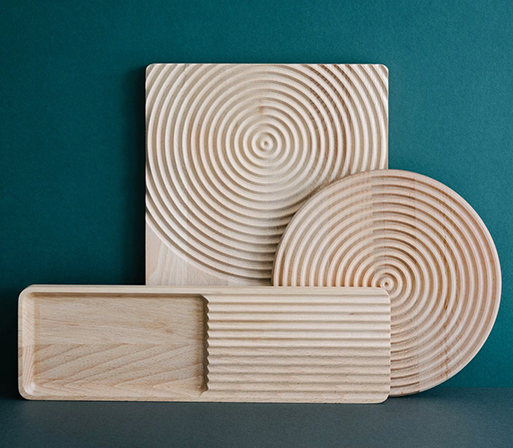 These platters by Gareth Neal use digital manufacturing techniques to create inset lines, boxes, and ripples on the surface of the wood. And, yes, they do all look very intriguing thanks to these carved shapes and textures, but they are also quite functional, as these features provide resting spots for your favorite foods and their necessary crumbs and juices. 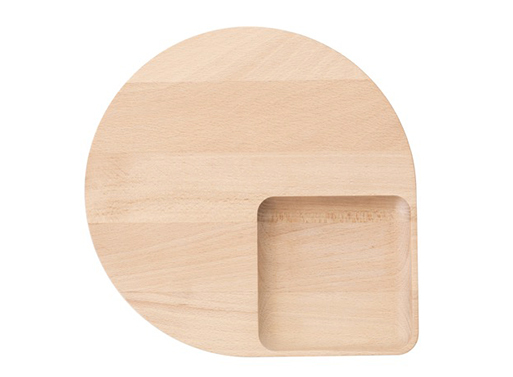 Crafted from oil treated beech to allow for easy maintenance.